The US-spec E36 M3 not only falls short in the powertrain department to its 321hp European counterpart, but also in terms of its headlight output, looks, and quality. 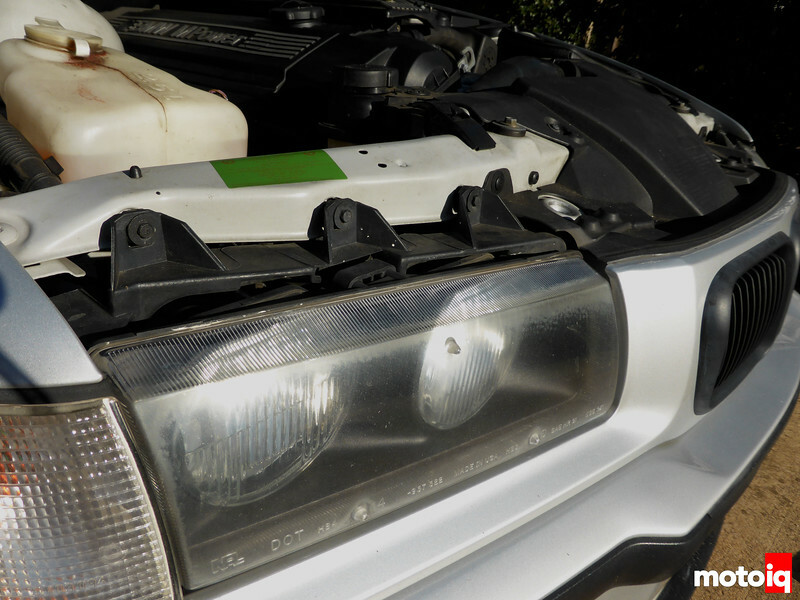 We replace the old, low output US-spec factory headlights with a set of European style Depo Euro Ellipsoid projector headlights from European Auto Source and add HID ballasts to give our E36 a 21st century output and looks. Whether it's Japanese or European, it really seems like we never get the good stuff imported to us here in the States, and the headlights on the E36 3-series are no different and leave a lot to be desired. Made of plastic like most cars and prone to yellowing and hazing, they aren’t the most attractive looking headlights in the world, especially when compared to the etched glass projector headlights that came on the European-spec E36’s. To improve both the looks and nighttime safety of our Project E36 M3 (Silver), we again reached out to our friends at European Auto Source who recommended the Depo Euro Ellipsoid headlights and a set of their HID ballasts. While there are many different versions of aftermarket and OEM Euro Ellipsoids for the E36 platform of varying quality and price, we were very impressed with the OEM-caliber fit, finish, and quality of the Depo Ellipsoids. The Euro Ellipsoid projector headlights from European Auto Source are of far better quality than the US-spec plastic ones. It’s a real shame that we didn’t get these from the factory. 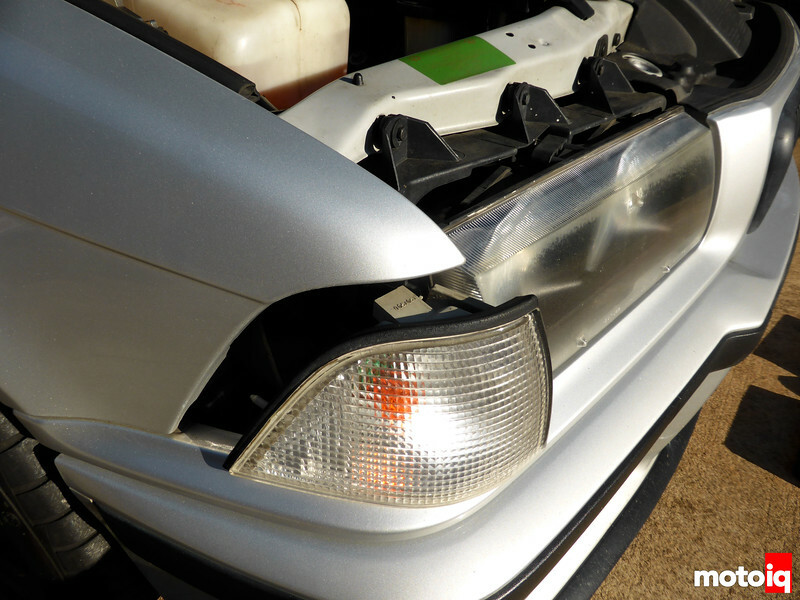 Over time, the stock plastic headlight lenses will haze and yellow, hurting both the looks and output of light to the road, which is never a good thing. While cleaning the headlights with one of the many headlight restoring kits out there can make them look a lot better, ‘refreshing’ them a couple times a year gets frustrating and old after the 3rd time. Swapping them out for a set of glass projectors that won’t haze or yellow is a much more appealing and fairly easy option. It always seemed a bit odd that the US cars have plastic headlights but retained the glass fog lights. I’ve always liked the simple and clean design of the E36 M3’s front end. However the stock headlights have always looked a bit cheap and dated to me when compared to the modern and elegant Euro Ellipsoids. The only real positive of the stock headlights are their light weight. However for a racecar, a piece of sheet metal or carbon would be a better choice. 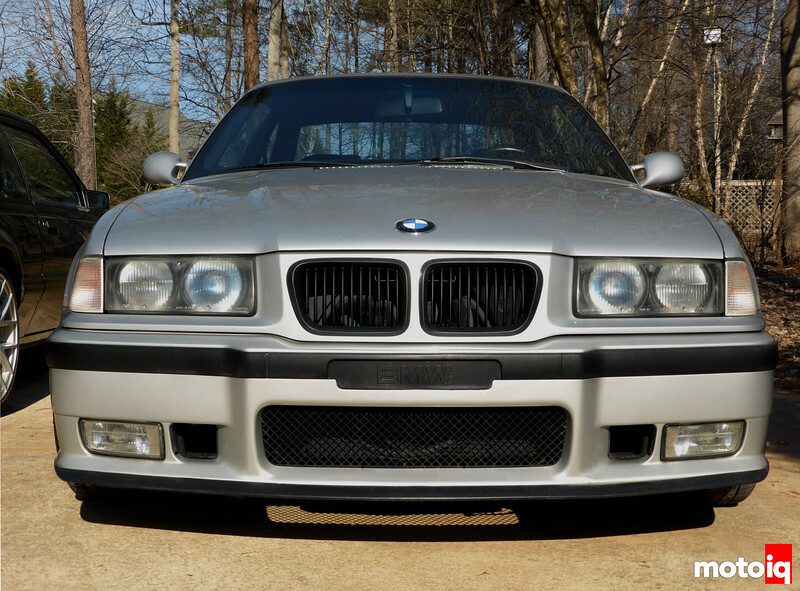 Since Project E36 M3 (Silver) is a street car, we went with the Euro Ellipsoids for their superior lens, sharper beam, and better lighting ability. Here you can see some hazing starting to spread after a few months since the last ‘refresh’. To get the headlight swap underway, locate the five 8mm bolts that hold on each headlight. Three on top which you can see, and two that point downward next to the base of the headlight. To access the outer bolts, you need to remove the turn signal housing. The first step is to remove the front turn signal indicator light. Pulling the housing straight forward with your hands is usually all that is needed to remove it. Unscrew the turn signal bulb and put the housing off to the side.